An Bord Pleanala, Ireland’s national planning appeals board, have given the green light for what will be Ireland’s largest mosque. The three-storey domed mosque planned for Clongriffin in North Dublin is part of a huge project that includes minarets, schools, a conference centre, gym, swimming pool, restaurant, crèche, library, offices and residential apartments. 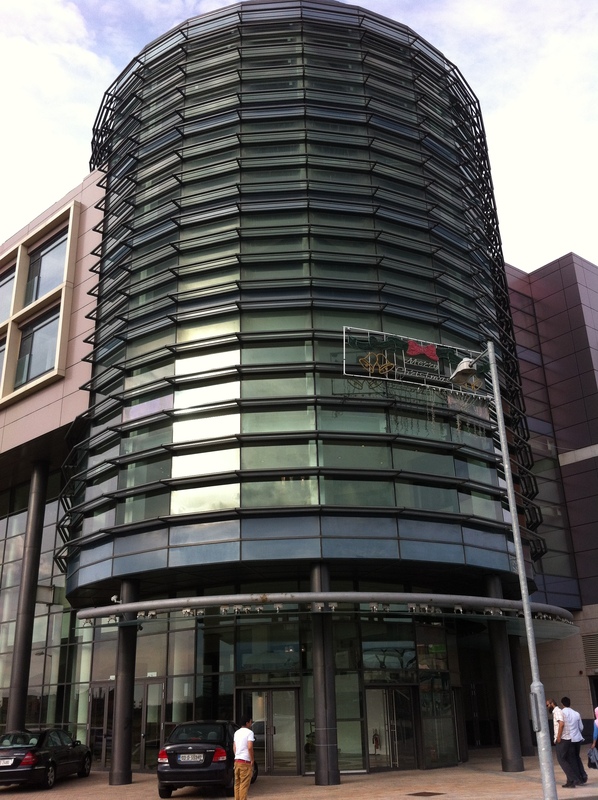 It’s estimated that the development will cost between €45 and €65 million. It will cater for around 550 people for Friday prayers and for up to 3,000 during festivals. It will be Ireland’s third purpose-built mosque. The other two purpose-built mosques are in Ballyhaunis, County Mayo and in Clonskeagh in Dublin. There is also a purpose built Shia Islamic Centre in Milltown in Dublin. The Muslim population of Ireland is estimated to be over 50,000. Most Muslims in the country worship in ‘makeshift mosques’ in housing estates, community halls or industrial warehouses. 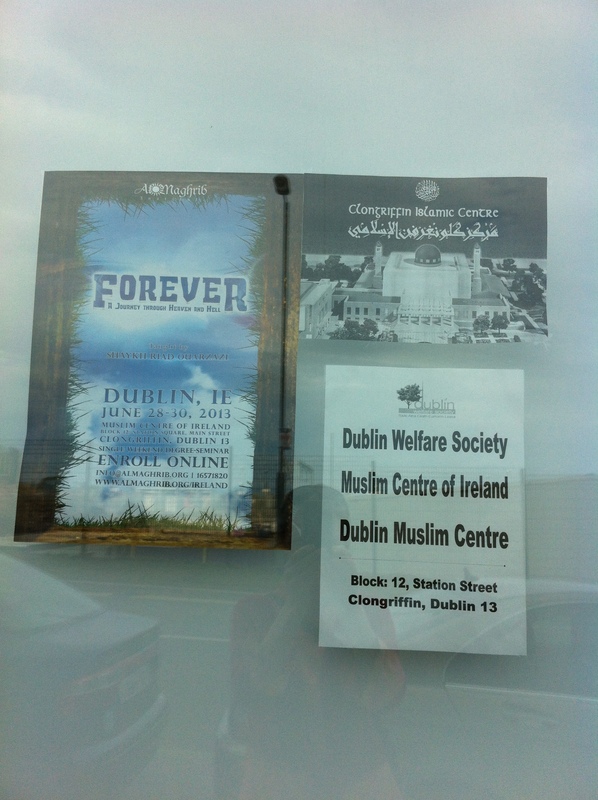 The Dublin Welfare Society, who submitted the planning application, currently manage two mosques located in industrial units in Clondalkin and Swords. 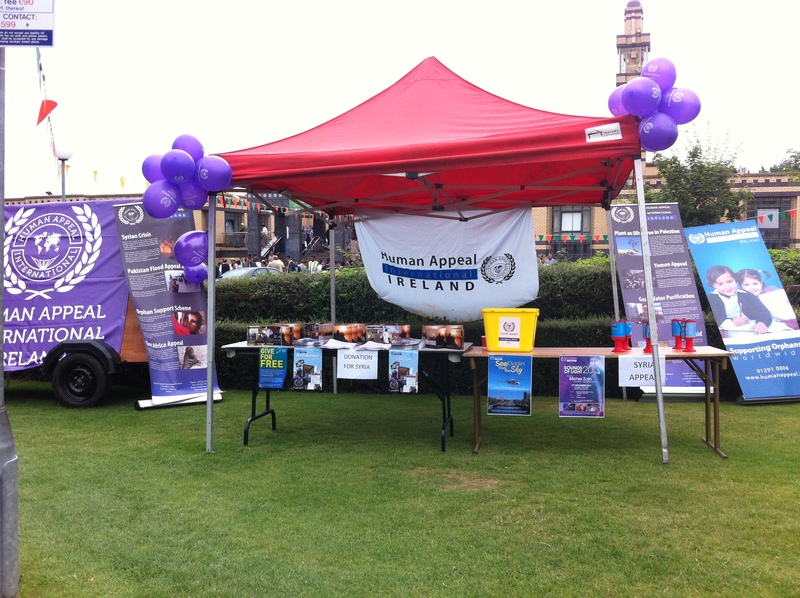 The group are made up of a number of Dublin-based Muslims from different backgrounds and nationalities. Dublin City Council had granted planning permission to the Dublin Welfare Society last March for the development. However, local Labour TD Tommy Broughan appealed the decision on the grounds of size and potential impact on traffic in the area. Clongriffin is a newly developed area of Dublin. It was born in the boom years with a major residential development in 2002. I visited the site for the Clongriffin mosque in July when I attended a special Ramadan event hosted by the Dublin Welfare Society. The event was held in one of the spanking-new retail units that surround the ‘town’ square. Inside, the shopping centre was fitted with clean shining floor tiles and sparkling light fittings but the elevator was frozen in time and the retail units lay empty. 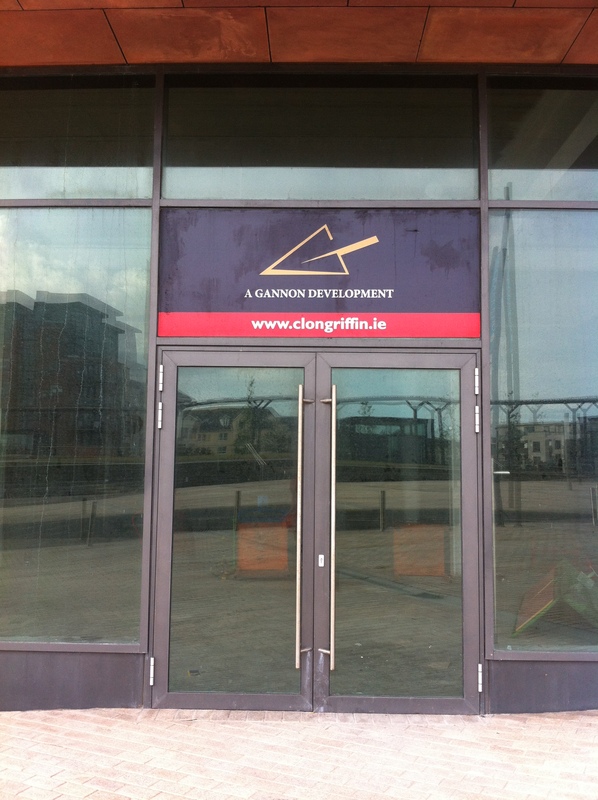 Development in Clongriffin almost halted completed with the collapse of the property market. 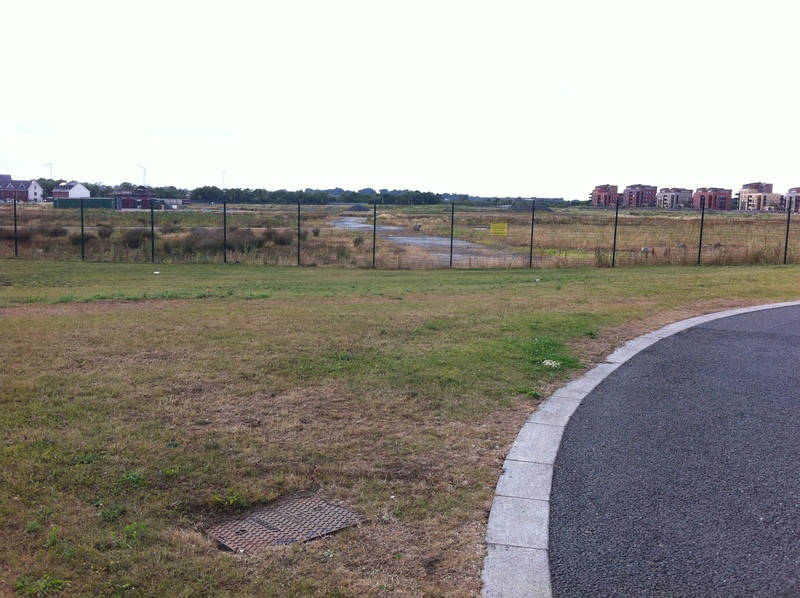 Roads have been left unfinished and many of the retail units have never been occupied. Access to the dart station, which was developed to cater for the burgeoning population, has also proved problematic. It is hoped that with the go-ahead given for the new mosque and Islamic centre, that the development will result in much of local infrastructure being completed and a new access area to the Dart station. For the mind to be as still and solid and strong and immovable as a mountain. That, in a way, is the essence of Zen. To be the sky and watch the clouds go by. I was in Tramore in County Waterford, Ireland, for a day-long Zen Buddhist retreat. It was in a family home on the outskirts of the town – a bungalow with grassy lawns and mature shrubbery and a t-junctioned hallway of shiny white tiles and greeny plants and walls of well-spaced paintings, prints and maps. The retreat was organised by an Irish lay-Buddhist named John who is originally from Dublin but now lives in County Waterford. He leads a weekly Wednesday-evening Zen meditation group in the Edmund Rice Centre in Waterford City. It’s attended weekly by a small group of less than ten. I’d gone to the Wednesday meeting once during the year – the only other person there that day, other than John, was an older gentleman, a devout Catholic, who said that meditation helped him with his own religious practice. Last Sunday there was a handful of people attending the retreat – five including John – and a monk from Throssel Hole Buddhist Abbey in Northern England who led the retreat. I was welcomed and introduced to the monk – Reverend Finán – in the clean sitting room that was lined with book shelves. The monk sat upright at the edge of a comfy armchair. He stood up, smiled and shook my hand. He was brown-robed and pale-faced with high cheekbones. He seemed very gentle. Blue-eyed. Shaved head. One woman jokingly asked the monk if he’d like a brandy before we started. Then we all headed down the hall to the room where the meditation was to take place. The room was a bedroom that had been cleared out of all the furniture except for a chest of drawers that had been converted into an altar. On the top of the drawers was a white ‘table-cloth’ with a statue of the Buddha, a lotus flower, a small bowl of walnuts, a tiny tumbler of water and two burning candles. People had either brought their own meditation stools or sat on dining chairs. The monk sat cross legged – full lotus position – on the floor. We recited a verse of Buddhist scripture and then sat, facing the wall for thirty five minutes. There were no instructions given. This was probably because everyone there had attended Zen meditation previously. The Irish Census of 2011 recorded just over 8,000 Buddhists living in Ireland – only 0.2 percent of the population. The number of Buddhists in Ireland, however, has grown steadily since 1991 when there were just 986 self-identified Buddhists in the country. It’s believed that there are also a significant number of ‘night stand’ Buddhists in Ireland – people who might identify themselves as belonging to another religious tradition but who keep books by Buddhist authors on their bedside lockers or who dabble in meditation. Like all religious traditions in Ireland there are many different strands that exist under the one religious banner. In Ireland there are different schools, traditions and lineages of Buddhism. Zen is one strand and the retreat that I attended was from one lineage within one strand of Zen. We sat and ‘meditated’ for 35 minutes (sitting meditation is called ‘zazen’). Then we walked very slowly around the emptied soft-carpeted bedroom for five or ten minutes and then sat again for 35 minutes. There was a tea-break with a short talk by the monk about the Buddhist precepts (guides for living), another twenty minute sitting, lunch, and two more 35 minute sittings broken up by another walk around the room. The sitting meditation is very much about awareness – of the breath, of the sounds, of thoughts, emotions. To be conscious of the things that enter our consciousness. To be aware of awareness. It sounds easy. Sometimes it is. But on the second-to-last session I had a serious urge to jump up and run like mad out of the room. In modern societies the tendency is often to be ‘doing’. To be active – reading, watching TV, on phones, social media, socialising, cooking, eating. In Zen the focus is on ‘being’. There are teachings about how to deal with suffering, discomfort, pain. To experience it without running away. In some ways there is an aim to treat pleasure and pain with equal measure. Or praise and criticism. There are ideals. I don’t know how attainable they are. But for me Zen meditation is a very empowering practice – to watch thoughts as they arise and to let them go. To dis-identify. Occasionally there are even moments of nothing, emptiness, peace. I came home after the retreat and thought about the idea of ‘being’, just ‘being’. And I’m sure there is a balance to be had – between being and doing, being awareness and engagement. I’m not sure where the balance lies. The ideal balance. 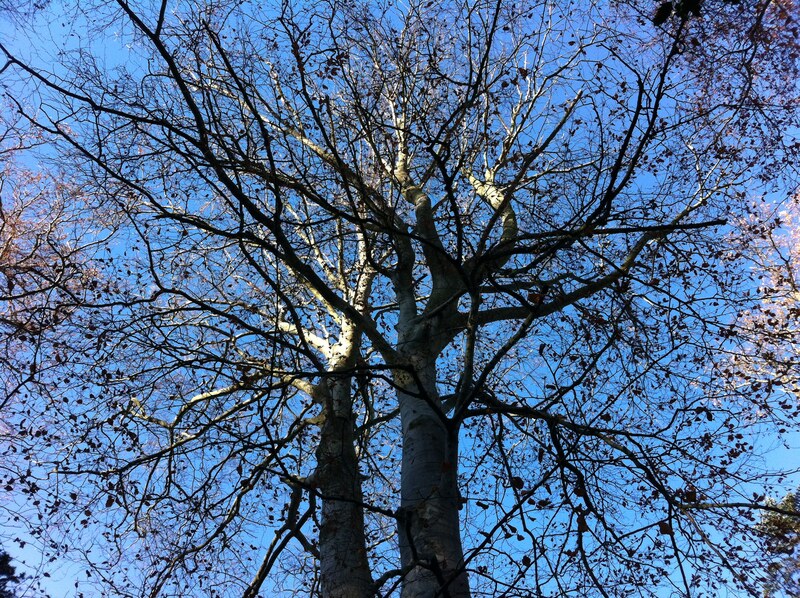 But during the week the thought did come to mind that ‘if I was to be, just be, I might as well just be a tree’. Not sure where that leaves me either. No pun intended. But for the moment I will be continuing with an aim at least of daily sitting – meditation. The fast is over. Ramadan is done. 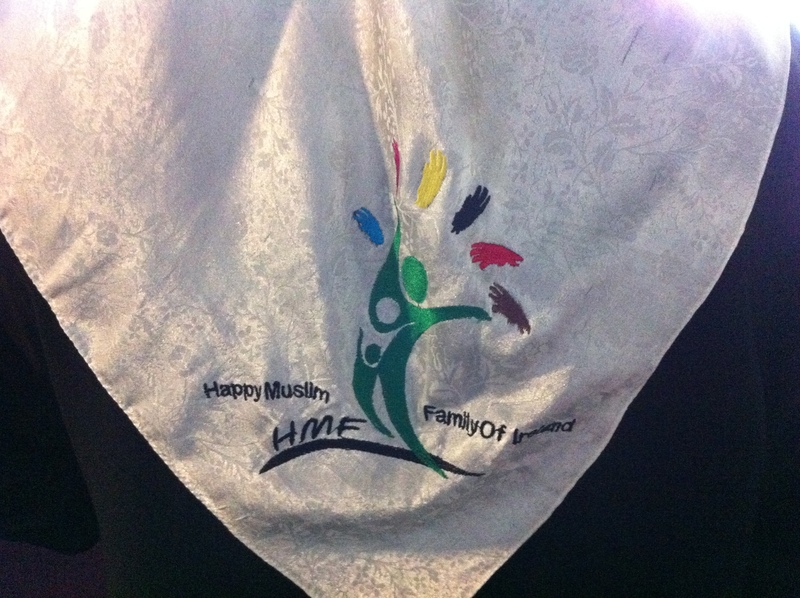 Today is Eid ul-Fitr, the festival of the breaking of the fast – the Muslim equivalent of Christmas. After 29 days of fasting from sunrise to sunset Muslims are back to a normal eating routine. And so too, am I. This morning I headed to the mosque in Clonskeagh. Traffic was heavy on approach, cars were parked on roadside verges. In the grounds of the mosque hundreds and hundreds of people had gathered after the morning prayers. There was a barbeque, a stall for charity, colourful bunting was strung up between the lamp-light poles and I heard the distant words of an impassioned preacher from the entrance to the men’s section of the mosque. Eid is a huge and upbeat celebration. New clothes are bought, presents of toys or money are given to children, many families go to play-barns, parks or even toystores. It’s a children-centred occasion. Adults don’t exchange gifts but do gather together with friends and family for a big celebratory evening meal. There are a few little girls wearing long-sleeved communion dresses with white head scarves. I meet women from Turkey, Algeria, Moldova, Libya, Syria, Egypt and Ireland. There’s a man wearing a long full-length cream thobe who tells me he has travelled from Belfast especially for the celebrations today. There are probably people here from all over Ireland. I feel now like I am on holidays. Ramadan is over. I fasted 19 out of the 29 days. It has been an extraordinary experience, a stint of intensive learning about Islam, Muslims in Ireland, self-restraint and self-awareness. I finished the fast yesterday by going out for a meal with my husband to a beautiful restaurant in Rathmines called Little Jerusalem. I spoke to a woman over the phone yesterday who told me that her family also fast from television during Ramadan in order to spend time with each other. She also encourages her children to focus on giving instead of asking. And this, the giving, the charity, the self-restraint – these are the elements that are at the heart of the Ramadan fast. It’s a pleasure to be back to eating normally and sleeping normally again. I wonder how long my appreciation will last before I slip back in to taking my life and the pleasures of my life for granted again. My Ramadan entries are over. On Sunday I’m off to Waterford for a Zen Buddhist retreat. In the meantime – thanks for reading and a special thanks to all the Muslims who spoke to me, welcomed me, and gave me food over the past four weeks. * an added note – the reason I missed ten days is because women are exempt from fasting when menstruating. The exemption lasts usually from ten to fifteen days. I found it incredibly difficult to go back to fasting after the exemption break. But I’m glad I did. Muslim women have to make up for the lost days but I won’t stretch that far myself. Yesterday I was ‘called’ to Islam. The call to convert came from a lovely twenty-one year old South African man named Shakeer whose brown eyes were bright with friendliness and encouragement. We were sitting opposite each other at a metal-legged table at the Golden Olive restaurant in Clonskeagh. 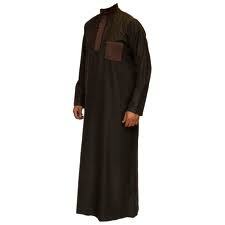 Shakeer was wearing a freshly-ironed full-length brown thobe and a white hat. He had a long black scribbly beard. Shakeer had phoned me a few days previously. He had heard about my Ramadan fast from an ex-colleague of mine in Waterford. He said he was interested in my experience and in why I was fasting. We arranged to meet. He told me it would be good if my husband came too. Shakeer was in Ireland with a group of 26 South Africans. 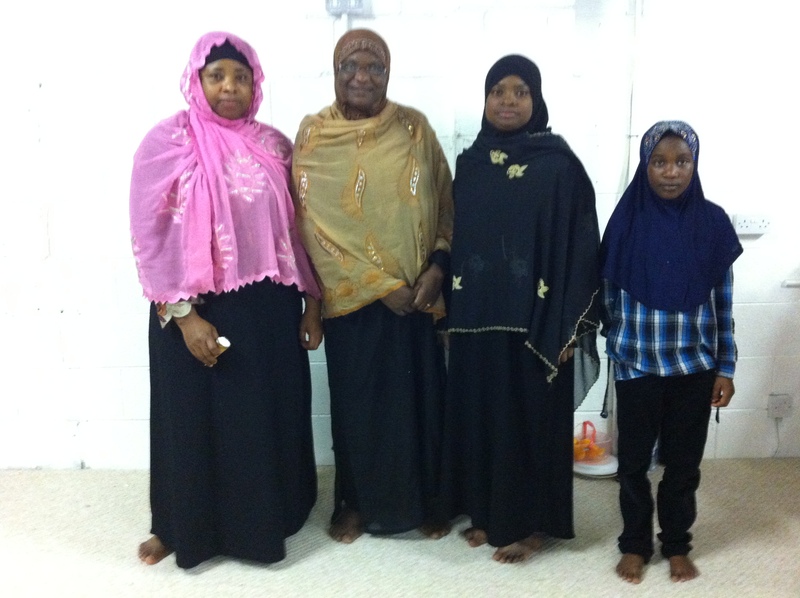 They were brought to Ireland to lead the nightly Taraweeh prayers of Ramadan at various mosques around the country. They were chosen to come to Ireland because they could all recite the full Quran by heart. A person who can recite the full Quran by heart is called a Hafiz. To put this achievement in context – the Quran is slightly shorter in length than the Christian New Testament – it’s made up of just over 6,000 verses. Learning it by heart is considered a major achievement. Shakeer told me that he left mainstream school at fourteen in order to learn the Quran. It took him six years. “This is more than double the average” he told me and explained that it took him so long because he was involved in various other activities including radio work during that time. The 26 guys from South Africa were all members of the Islamic missionary organisation called Tablighi Jamaat. When they arrived in Ireland they were split up into groups of twos or threes and sent to various towns and cities. Shakeer was sent to Waterford city with two others. He had a child-like quality to his face despite his long beard and he was bright with laughter and smiles. “My mam filled my bag with biscuits and all kinds of food for the journey” he told me. “She even put in powdered milk. I opened my bag and wondered did she think I was going to the jungle” he said laughing. The biscuits and powdered milk his mam packed were still sealed in the bag as he prepared for his journey home. He told me that they were treated really well by the Muslim community in Waterford and that they were invited to houses for food every night. This, he explained, was a sign of respect for the Quran. When he walked down the streets of Waterford the non-Muslim community of the city were curious. He said that when he walked down the streets of Waterford wearing the full length thobe, cars slowed down to look and people turned and stared. He smiled when he recounted their interest and didn’t seem to mind. Recitation of the full Quran was completed at the mosque in Waterford the previous night. “It was very emotional” he said and explained that the completion of the Quran, coupled with the fact that it had been the 27th of Ramadan, meant that it was a night when supplications were accepted by Allah. I asked him what he meant by supplication. “It’s a request” he said. “A person can ask for anything that comes to mind”. “Even material things?” I asked. “Yes, anything”. He laughed when I asked him if it works . “We have seen many times that it helps” he told me. “We made a special supplication because of the recession and lack of jobs in Ireland”. We talked for over an hour. He told me about the presence of evil in the world today, about the media misrepresentation of Islam, about different law schools and movements within Islam. He told me that their visit to Ireland was “majorly fruitful” because they completed the recitation of the Quran and that some people learned a few chapters of the Quran and one woman whose family is Catholic “reverted to Islam”. I looked up at the clock on the wall of the empty restaurant and was it one o’clock in the early afternoon and time for me to go. “Before you go” he said, “it is my duty to call you to Islam and for that reason I’m asking you to pay note to a few things”. He went on to tell me that Islam is the fastest growing religion in the world today and he spoke about the logic of the “oneness of the Almighty”. He gently encouraged me to convert, there and then, by reciting the Shahada or creed (“there is no god but God and Muhammad is the messenger of God”). “Is this why you wanted to meet me?” I ask him. “Yes” he answered smiling, a little cheekily. “Everyone is a believer or a prospective believer” he explained and “you are more prospective than others”. I told him that I wasn’t going to convert, that I was interested in all religions. He urged me “don’t let religion be something of research and study, rather make it something of passion and devotion, a spiritual experience”. He said “do this tonight – put your head on the ground or put your hands up and say “oh creator, show me that which is correct and guide me to that which is correct” and I hope you will see the light”. I realise that Shakeer was giving me what he believes is the greatest gift that he can give to any person. As a devout Muslim he believes that, as an unbeliever, I am destined for hell where I will burn for eternity. I understand that he is concerned for me. He told me he felt pity for me. I appreciate his efforts. “Out of billions of people in the world” he tried one more time. “Why would you meet someone who calls you to Islam? I think it is the Almighty and he wants to give you guidance”. “Well in that case” I reply, smiling “more guidance will come”. I do not share Shakeer’s faith or his beliefs. People might wonder then why I didn’t debate with him. But over the years I’ve come to the conclusion that beliefs are really very powerful things – in God or in no-God, in gods or in no-gods. I tend to go with the words of Ninian Smart “God is real for Christians whether or not he exists”. And who am I to disagree? I’m no expert but I had never seen Islam like this before. It was the holiest night of the Islamic calendar and I was at yet another warehouse in an industrial estate in Dublin suburbs. This time I was with a group of Nigerian Muslims. The celebration was the most informal and upbeat I have seen over the past four weeks. Last night was the 27th night of Ramadan. The night is called Laylat al-Qadr or the “Night of Power”. It’s believed by many to be the night on which the Prophet Mohammad received his first revelation. Although the exact date of Laylat al Qadr is not known, it’s thought to be on one of the odd numbered nights of the last ten days of Ramadan (21st, 23rd, 25th or 27th). The 27th is probably the most popular marker. 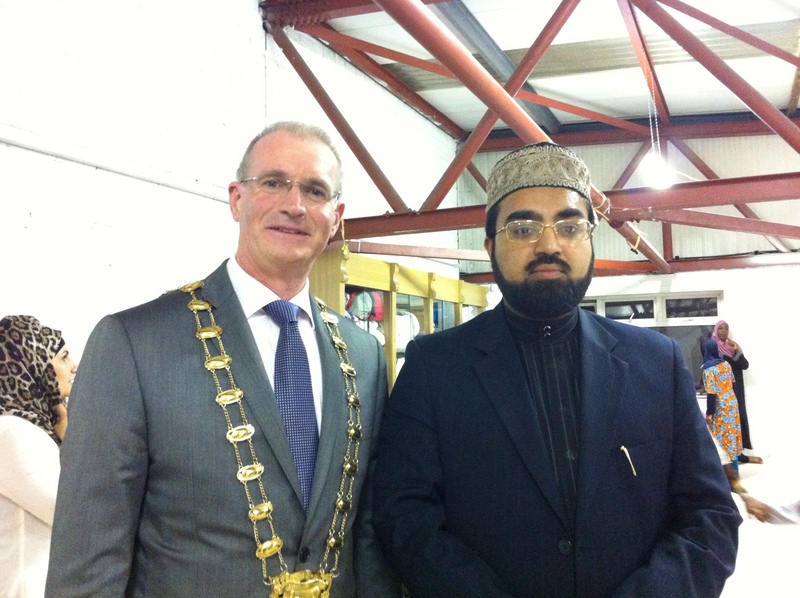 The previous night I had returned to Al Mustafa Islamic Centre in Blanchardstown for a special Iftar meal attended by the mayor of Fingal County Council, Kieran Dennison. There were speeches and delicious foods and I even managed to take photographs of Muslim women. But, my plans to stay for the overnight Itikaf retreat and lectures were scuppered by the tiredness of toddler and new-puppy nights. 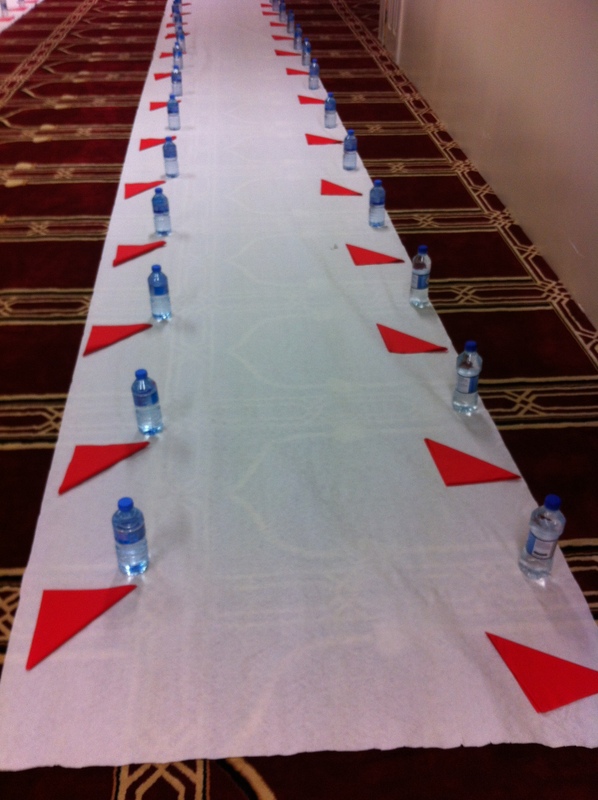 Preparations for breaking the fast at Al Mustafa I.C. The Nigerian mosque that I visited last night was in the same industrial estate as Al Mustafa but it was on a different road and in a much smaller warehouse. Night was falling when I arrived. I hung around outside the warehouse wondering what to do and whether to go in or not when two colourfully dressed women came outside, chatting. I introduced myself and they were very welcoming and led me inside. The women showed me where to leave my shoes, led me over to where they had been sitting and pointed me to a blank spot on the floor beside them. One of them passed me a booklet with the words of the chant and encouraged me to join in. I’d never heard chanting like this in a mosque before. One of the women near the back held a microphone and led the chant. Voices rose and fell and dropped in and out. 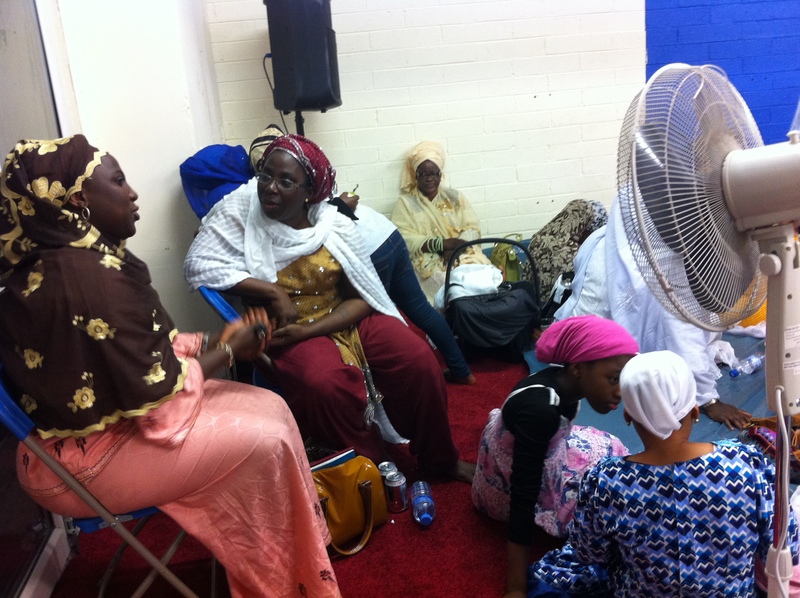 Women with striking-coloured outfits and hijabs sat around the floor and against walls. Some had babies in their arms. Others shuffled prayer beads through their fingers. There was also chats and laughs. It was ordered yet informal. The walls were painted blues and creams and filled with huge posters with the name of the organisation ‘Nasfat’. There were small wooden partitions dividing the women from the men who were up at the front of the room. 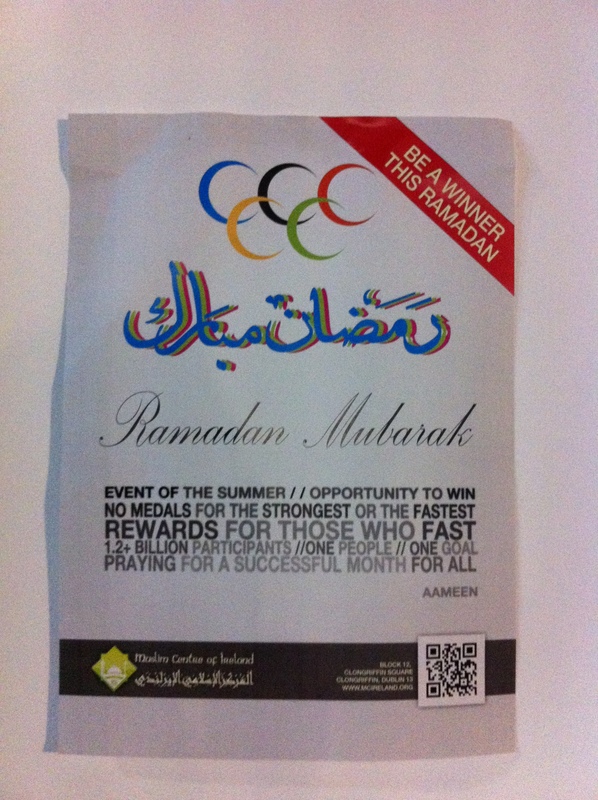 As time to break the fast approached two women walked around passing out packets of crisps to the younger children. Another woman walked around with pears and oranges. Another with bottles of water. Wraps of coca cola and Fanta orange were cut open and passed around. A large plastic sheeting was unfolded and spread out across the floor. Time to eat had arrived. Imam at the warehouse, Moses Ogunse, came to talk to me. “In the Nigerian tradition we like to bring families together during Ramadan” he told me. “We see each other as one family – we are not family by blood but we are family together”. Moses told me that around fifty families were there last night and that people bring food donations. It’s not just people from around Blanchardstown attending – some travelled from far beyond Dublin. He himself came from Offaly and comes every Sunday. Although Friday is a big day for all Muslims, Nigerian Muslims also gather on Sundays. It’s not the only Nigerian makeshift mosque either. He told me that there are around five around Dublin alone and that all except one are in industrial warehouses. He explained that Western Nigerians have separate mosques to the Northern Nigerians as they speak different languages. Their gathering is made up of Western Nigerians. A woman asked me what food I would like – it was like being offered a menu in a restaurant as she listed out the possibilities on offer. I got a bowl of rice pudding and a spicy bean pie with flaked smoked fish. Tasty. After prayers the room filled with the sound of children who had been playing in a room upstairs. One young girl, around eight years old, spotted me and jumped backwards as she grabbed her friend’s arm. “Woah” she exclaimed. I asked “why are you so surprised?” She said “because there is a white person here”. We both laughed. Ramadan is changing my perspective of Islam. It’s a bit like a view of the earth from the moon – from that far away the world looks straightforward, simple, a unified whole. The closer you get to the object of attention the more complicated and complex it becomes. Divisions become clearer. Boundaries appear. And so it is for me with Islam as Ramadan draws to a close. Sufi, Sunni, Shi’a; Wahhabi, Salafi, Deobandi; men, women, children; Pakistani, Nigerian, Turkish, Iraqi; believers, questioners, atheists, ex-atheists. The richness and diversity of Islam becomes clear. My satellite vision disappears. I’m back to fasting today but it is made easier by the fact that I’ve been invited for dinner to the home of an Iraqi woman I met at the Clonskeagh Iftar a few weeks ago. And today I’m off to meet a group of Hafiz (people who can recite the entire Quran by heart) from South Africa who’ve been in Ireland for Ramadan. Two more days and counting. 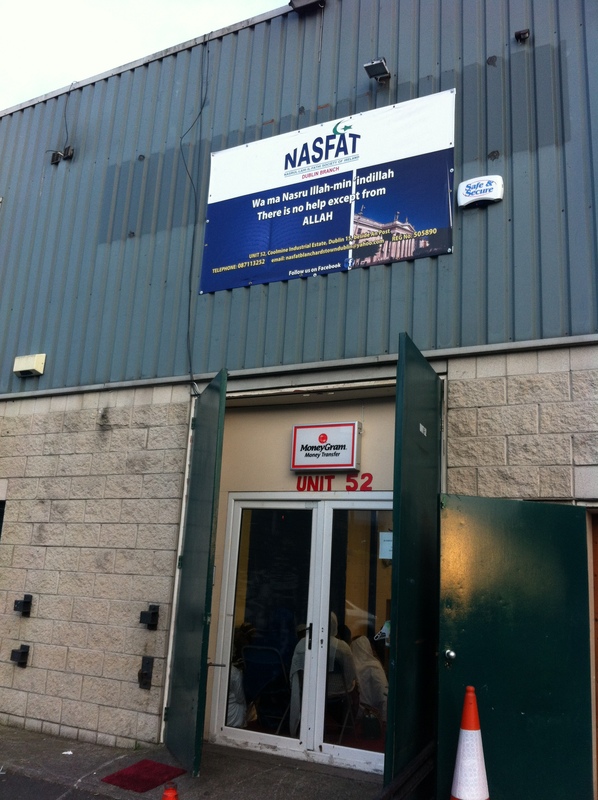 * This post and visits to both Al Mustafa Islamic Centre and Nasfat warehouse are part of my research into the use of industrial warehouses as places of worship which is funded by the Mary Raftery Journalism Fund – the radio pieces will be broadcast on Newstalk in September/October coming. I met the brilliant Irish sociologist Tom Inglis for lunch in Dublin a few years back. It was yet another of my foiled attempts to finalise a topic for a PhD. During our chat he made the point that, in Ireland, not all atheists are viewed equally – in Ireland it’s better to be a Catholic atheist than a Protestant one. It made me laugh at the time. Last week I met a Muslim atheist. An ex-atheist. 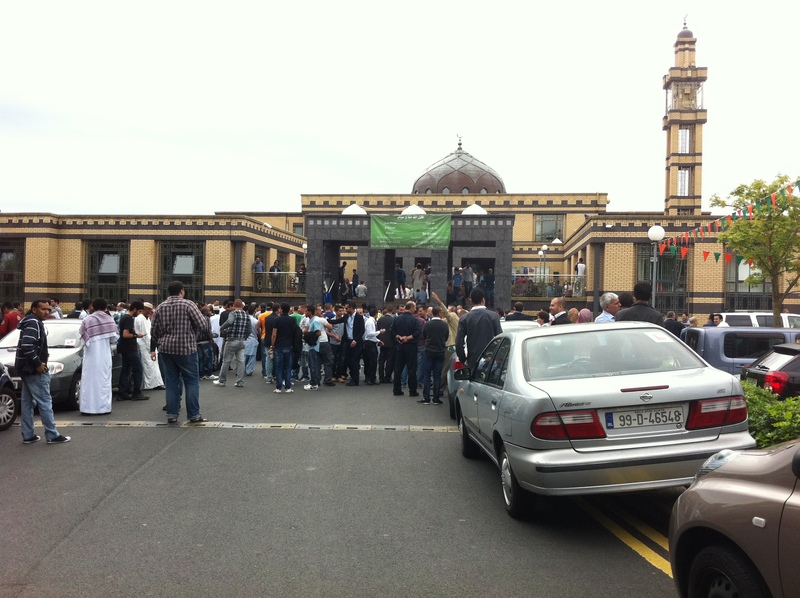 It was a chance meeting at the Clongriffin-mosque gathering in north Dublin. She happened to sit beside me as I sat on the floor eating my food. She was wearing a pink and white hijab and she was from Kazakstan. Alina came to Ireland 12 years ago. She is around thirty. She was brought up in a non-practicing Muslim family and had always described herself as an atheist. In Ireland she married a Muslim man. He was also from Kazakstan. He was a believer and a practicing Muslim. She wasn’t. He used to fast a few days during Ramadan. When they met he stopped going to the mosque so often and they “gave up on talking about religion”. “A lot of atheists see people as just biological beings” she tells me. She pauses, fishing for words. She talks about science and photosynthesis and the value of science. “A lot of atheists” she starts again “think we are purely living from our reflexes and act in a certain way because we were raised in a certain way”. Last Ramadan, when her husband was fasting, she started to research Islam. She didn’t tell her husband. She listened to lectures on Youtube and read articles on the internet. “Every time I listened to a lecture I thought “yes, this is definitely for me” and in the last few days of Ramadan I decided for sure that I wanted to be a Muslim and that I wanted to wear hijab”. She was walking down a street in Dublin with her husband and baby daughter when she told him. He was happy. She smiles, telling me that she recited the shahada (the Islamic creed ‘there is no god but God and Muhammad is the messenger of God) there on the street in Dublin in front of her husband and since then she considers herself to be Muslim. “When I was young my identity was related to Islam” she says. “When I was around seven my mother became religious for a while but when I reverted I didn’t know how to wash before prayer, I didn’t know I was meant to face Mecca when praying and I didn’t know how to put on the hijab. I learned it from the internet.” She laughs and tells me her first attempt wasn’t very good. 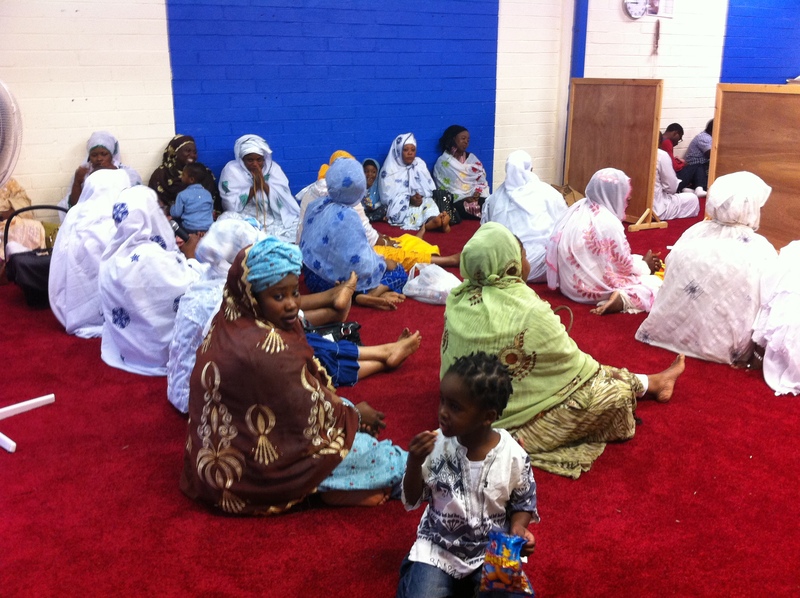 The women I spoke to in Clongriffin that night were from all over the world – Morocco, Turkey, Somalia, Australia, Libya and even Brunei. They nearly all spoke about missing their families and countries of origin during Ramadan when there is such a focus on families. They are all wearing head-coverings of some sort. 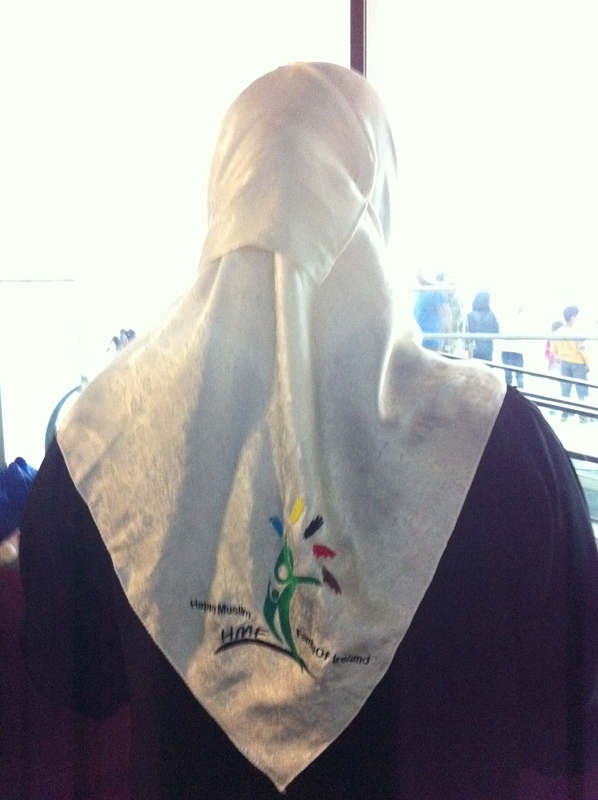 I notice a few women wearing the same cream-coloured hijab with coloured writing on it. Ebru from Turkey tells me that they belong to a group called “Happy Muslim Family of Ireland” – “we are trying to come together as families and do picnics and Eid parties and have fun for the kids”. Ebru, who came to Ireland nine years ago, tells me she still feels homesick but she has settled into life in Dublin where she now works in a playschool. “The kids sometimes ask if I have ears and hair” she tells me, laughing, “so I show them sometimes”. 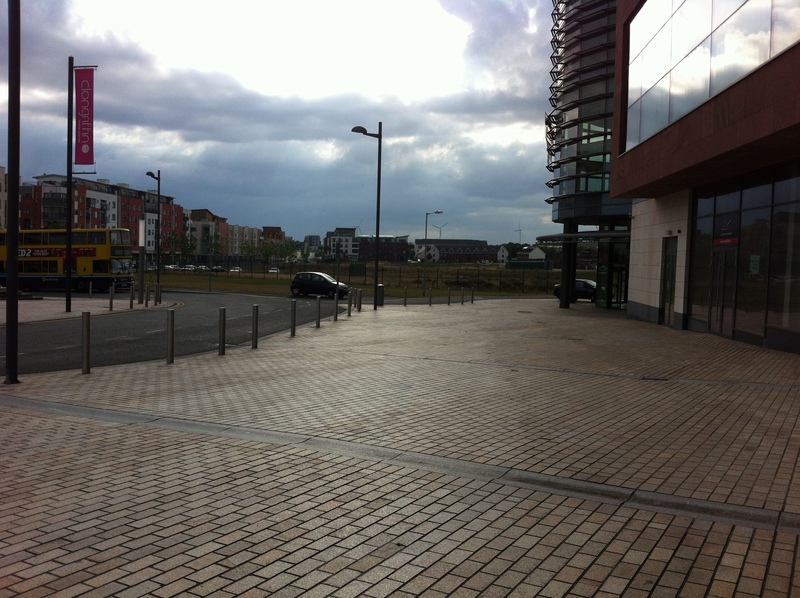 This is the last blog post about my interviews with the woman at Clongriffin. It’s Saturday morning now. The 3rd of August. The 25th of Ramadan. My period is nearing an end so tomorrow I’ll be back to the last four days of fasting. I feel grumpy even thinking of it, which defeats the purpose really, but I’ll enjoy my food and drinks today. Tonight I’m back to Al Mustafa Islamic Centre in Blanchardstown for an almost-all nighter of food and lectures and prayer. Most of the people I’ve interviewed over the past few weeks have told me that the first few days of Ramadan are the difficult ones. Getting used to the hunger and thirst. I realise that women have to go through the difficult days twice during Ramadan and once again when Ramadan is over and they have to make up the lost days of the fast. Tomorrow will be difficult again. But only four more days to go. I know it sounds terrible but the truth is that I was so excited to be finally talking to a woman whose face was covered that I forgot to ask her name. Only her eyes were visible – two bright blue sparkling ones – amongst the black. It was Saturday night and I was in the shiny new Clongriffin shopping centre. 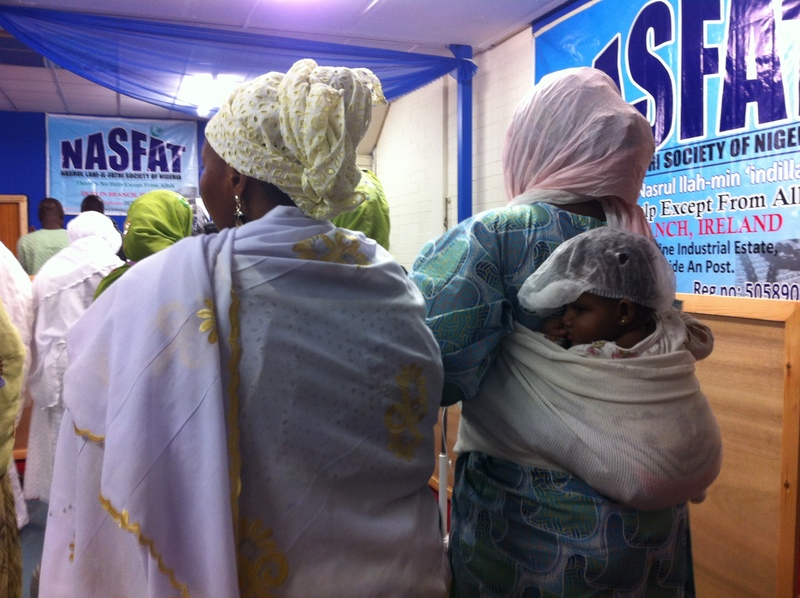 A Muslim group known as the Dublin Welfare Society was renting out a section of the largely vacant centre to host a talk about converting to Islam which was to be followed by a special Iftar meal. 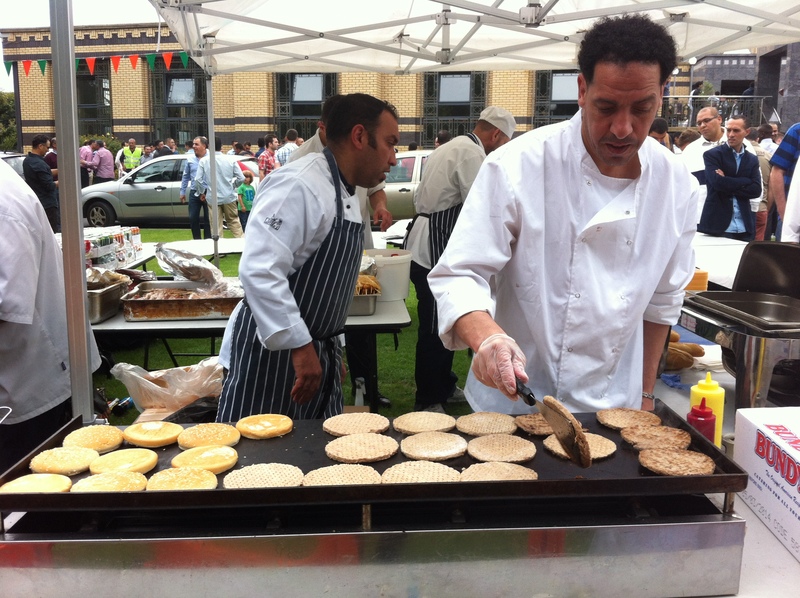 Around two hundred people – men, women and children – attended the event so the centre looked busy. The talk was in a large upstairs room. A crooked partition about the height of a person ran down the centre of the room. A dividing line. Women were on the left side. Men on the right. The talk had just finished and people were wandering around, gathering in groups near the back of the room where the food was being prepared. It was nearly time to break the fast. I noticed only one woman – other than myself – who wasn’t wearing a head scarf. 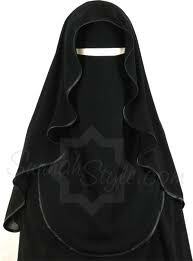 Mariam was the first woman I saw there whose entire body and face was covered in drapes of black. I’m ingrigued by Muslim women who cover their faces. I think I must subconsciously (and erroneously) associate the invisibility of mouths with voice-lessness and the black coverings with unapproachability. A fortress of cloth. When I saw Mariam I breached the perceived boundaries and went up to her. “Could I ask you a few questions?” I asked her nervously. “Yes” she answers in an unexpected American accent. “I wear the niqab to be closer to God” she tells me. “It’s my personal decision. It makes it easier to interact in communities and to maintain my modesty. It’s a very personal thing. I really enjoy wearing it”. Other people however, don’t always respond positively. “There is some negativity towards it, even from other Muslims”. Mariam was born in the U.S. to an Irish-American Catholic family. She converted to Islam when she was 32 and immediately started wearing the hijab (which just covers the hair). “It’s hard to go through your life dressing a certain way and then to change but I believe that covering up is following God’s word. I’ll be honest, when I read the verse in the Quran about covering I did believe it meant to cover the face but I wasn’t ready”. There is often an assumption that Muslim women who convert do so because they have married a Muslim man but Mariam tells me that she wore the niqab before she got married. Mariam’s Irish connection goes back three generations but she tells me that her husband, who is Algerian, is “more Irish than I am. He has an Irish accent and he knows the culture more than me. He was living in Ireland so after we got married I moved here”. It’s time to break the fast so Mariam excuses herself and goes to take a drink of water. It’s only a few minutes later that I realise I’ve forgotten to ask her name. I go up to the only woman I see who is wearing the niqab. “Excuse me” I ask, tapping her on the shoulder “but are you the woman I just spoke to?” “No” the response comes back to me “I am her daughter”. I wonder what it is that so intrigues me about women who wear the burqa or the niqab. Alfred Hitchcock comes to mind – an interview I saw with him many years ago. I vaguely remember him saying that what we don’t see is more powerful than what we do. Our imaginations fill in the gaps. I do a quick google. “Suspense is like a woman” Hitchcock said. “The more left to the imagination, the more the excitement.” That could explain it.